Quantum theory is often viewed as a strange and mysterious model where objects behave in illogical ways. While it’s true that quantum objects behave in ways that are counterintuitive, we actually understand the behavior quite well. In fact, many of these strange behaviors are used in modern astronomy. Take, for example, the quantization of magnetic moments. 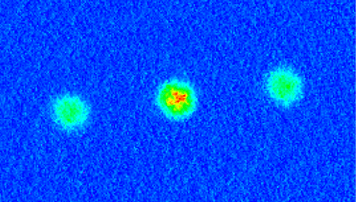 Most atoms have a small magnetic field. This magnetic field can be approximated as a small magnet, just as the Earth’s magnetic field is sometimes treated as a magnetic. The strength of that imaginary magnet is given by the magnetic moment of the atom. With this in mind, the orientation of an atom’s magnetic field can be represented by the orientation of the magnet. Suppose, then, that we were to toss atoms through an inhomogeneous magnetic field. Individually the atoms have no particular orientation, so we would expect that the orientation of their magnetic moments are entirely random. As a result, some of the atoms would be more strongly attracted toward the north direction of the magnetic field, while others would be more attracted to the south, and everywhere in between. If the atoms really did act like tiny magnets, we would expect to see the beam of atoms spread out evenly by the magnetic field. In fact, what we see is that the atoms either move toward the north or south, and that’s it. Instead of spreading out evenly, the atoms lock into specific orientations. 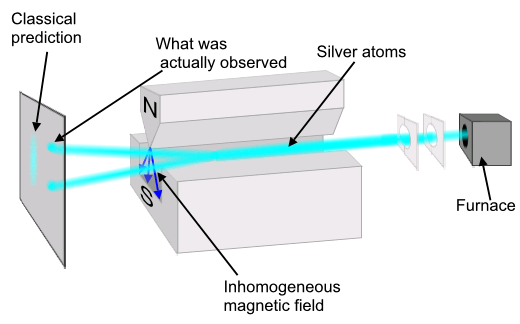 This experiment is named the Stern-Gerlach experiment, after the physicists who first performed it in 1922, and it demonstrates one of the basic aspects of quantum theory. When you try to measure the state of a quantum system, the results you get are often snapped to discrete results. It would be like measuring the height of a random collection of people, and finding they are all exactly either 5 ft or 6 ft tall. 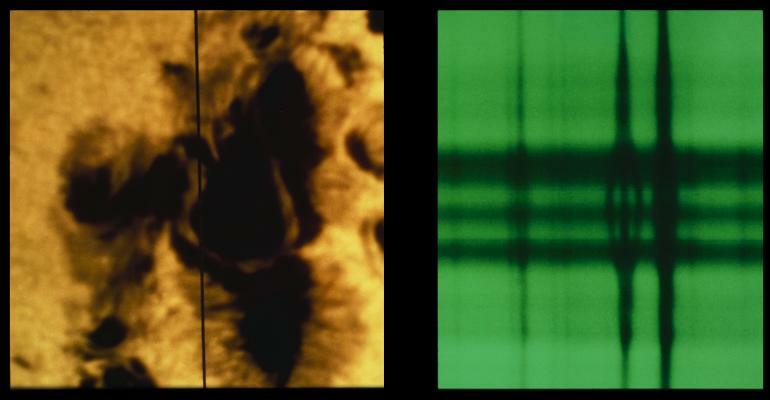 As strange as this is, we actually use a similar effect to measure the strength of magnetic fields in the Sun. Since electrons also have magnetic moments, strong magnetic fields can cause their energy levels in an atom to shift. As a result, the emission lines an atom gives off can be shifted by magnetic fields. Emission lines can even be split slightly, which is known as the Zeeman effect. We see this effect near sunspots, which is how we know that sunspots are cooled by magnetic dampening. That’s part of the real power of astrophysics. Once we understand a phenomena, however strange, we can use it has a tool to study the stars. Fascinating! Must be an electron spin alternating from one atom to another on the same axis producing such a magnetic moment. Thanks.